Spider veins are a visible external sign of an underlying vein problem known as venous insufficiency. Venous insufficiency is more likely to be present in patients who have vein-related symptoms such as chronic pain and/or discomfort, leg heaviness, leg fatigue, leg swelling, itching, or leg cramping. Caused by the stretching of veins close to the skin surface that were previously too small to be seen. Once they’ve become stretched, these small veins hold more blood and can become visible, such as these examples. Can appear as individual thread-like streaks, or as vein clusters that can look like the branches of a tree. Some spider veins on the face may be caused by a combination of sun exposure and/or chronic skin inflammation (rosacea). 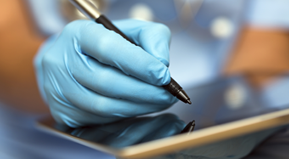 A crucial step in obtaining the best treatment and results is finding the right doctor. 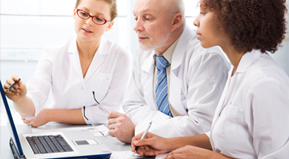 The American College of Phlebology (ACP) is the premier association for vein care specialists in the United States. With more than 2,000 physicians and allied health care professionals in the network, finding a doctor in your area has never been easier. Click the link below to visit the ACP’s find a physician page and locate a doctor near you. If you experience leg symptoms, seeking professional advice is suggested. Vein disorders are not always visible; diagnostic techniques are important tools in determining the cause and severity of the problem. In addition to a physical examination, non-invasive diagnostic “duplex” ultrasound is often used. Duplex ultrasound can accurate detect venous blood clots and abnormal blood flow. The treatment of spider veins should begin with a comprehensive consultation with a vein specialist. 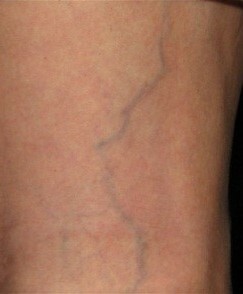 The treatment, while effective in causing the visible veins to disappear, does not keep new spider veins from forming. Symptoms may be improved with treatment. Conservative treatment such as wearing compression stockings may alleviate symptoms. Other conservative therapy is available. Laser or sclerotherapy treatment is commonly used to alleviate the signs of spider veins. Regular exercise, such as walking or swimming, is recommended. Scientific studies have shown that plant-based bioflavenoid supplements have anti-inflammatory properties and can have beneficial effects on vein disorders as well. Natural supplements can be an important addition to your vein treatment. Some supplements have been found effective to reduce aching, heaviness, and swelling in the legs. Venous disease is classified as a chronic disease. No cure is available. 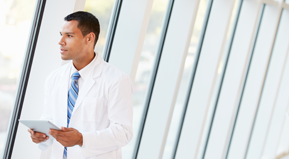 There are a number of reasons why venous disease occurs. Physicians refer to these causes as risk factors. As people age, vein issues become more common. Small problems that started earlier often progress into larger ones. If you have immediate family members who have spider veins, chances are that you may develop them as well. Venous disease is hereditary. Inherited factors related to blood clots or clotting disorders are also important, as you could also have inherited the same clotting disorder. Soft tissue injuries can often result in damage to vein networks. This can happen as a result of an impact injury, such as getting hit with a ball or another hard object. Trauma can subsequently lead to thrombosis. 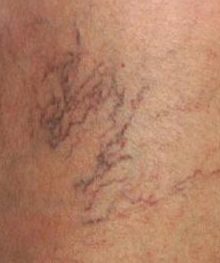 Spider veins in that area of your leg may appear. The damaged veins may not be evident for some time. Post-surgical patients carry risks for blood clots, often due to inactivity or immobility. Female hormones such as estrogen and progesterone can cause spider veins to form. The most common medications to do this include oral contraceptives (birth control pills), hormone replacement therapy, and infertility drugs. Progesterone levels remain very high during pregnancy. Progesterone relaxes the muscle in the vein walls, allowing them to stretch. Many women notice large numbers of new spider veins during their pregnancy for this reason. Standing or sitting for long periods of time are not healthy for our venous circulation and can worsen spider veins. Teachers, nurses, flight attendants, hairstylists, sales clerks, etc., are very prone to developing spider veins and venous disorders. The presence of spider veins does not generally imply that you might have other medical conditions. People often assume that weight is a risk factor in venous disease. While many patients find that they feel better when they maintain a healthy weight, the actual influence of weight on the development of spider veins is not clearly known. Blood clots are often familial and a very important risk factor for venous disease. Gait: how we walk is critical to movement of the blood. It is important to have the blood pumped through the veins by activating our calf muscles. This can be facilitated by fully flexing the ankle, known as dorsiflexion.